Before you step on the gas of your next lawn or garden maintenance project, learn how to store your fuel safely and easily! With the arrival of spring comes a certain bouquet of seasonal scents, ranging from fresh-cut grass to spilled gasoline. This latter is a hallmark of yard work, powering everything from lawn mowers to garden shredders—but only if stored properly during the off-season. Many homeowners make the big mistakes of storing gasoline 1) in containers and condition ill-suited for its volatile composition and 2) beyond its recommended shelf-life. If excess fuel is on the loose on your property, these tips will help keep you and your gasoline safe and on-hand for use. Stowing away gasoline safely begins with checking your local and state regulations for fuel storage quantity and container capacity allowances. Many fire codes limit the amount of fuel you can store to 25 gallons total, divided among approved, leak-proof containers with a capacity less than five gallons each. 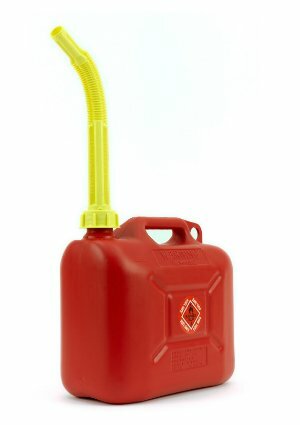 These containers should be labeled and of an identifying color (red is the standard for this formidable fuel, while blue indicates kerosene and yellow represents diesel). 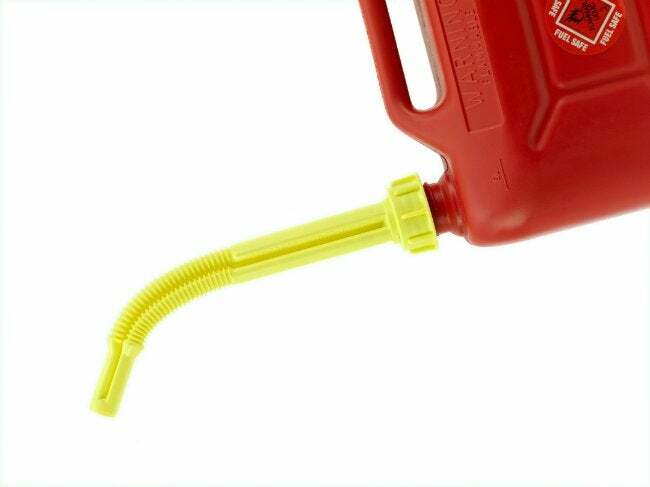 As you fill your container with gas (and potentially a fuel stabilizer), keep your face away from the nozzle and avoid ignition sources like heat and sparks by at least 50 feet. Then, tightly close and seal the container and store it in an edifice separate from the home itself—the garage or shed or shed are ideal, out of direct sunlight and, again, away from anything that will light. Before you move on to other household tasks, it’s smart to mark the fill date on the container so that you don’t fill up with fuel past its prime. With the exception of gas that has been treated with a stabilizer to prolong its shelf life, gasoline should be stored for no more than 12 months in order to avoid damaging the engines that it will eventually power. (Anything older than that sitting around in your garage or workshop should be taken to a disposal facility, per recommendations from the American Petroleum Institute.) Then, rotate through your at-home supply of gasoline, starting with the oldest—within reason—so that you use up the fuel before its expiration. Since most outdoor power equipment manufacturers suggest draining the fuel tanks on mowers and other motorized tools that won’t be used for several months, make the most of your supply by refueling with only what you’ll need for any given job. When you’re ready to power your next lawn maintenance project, just pull out the gasoline, unscrew the lid, and fill ‘er up!